Under no circumstances does this Website, directly or indirectly, including, without limitation, correspondence by any means to or from Bloch & Chapleau, LLC, establish or intend to establish an Attorney-Client relationship between you and Bloch & Chapleau, LLC Bloch & Chapleau, LLC is available for consultation regarding legal matters; however, the act of sending electronic mail to this law firm or making an Online Contact Form submission does not alone create an Attorney-Client relationship. This office is under no obligation to respond to your messages. No legal advice will be given over the Internet, by telephone, fax, or otherwise before an Attorney-Client relationship is established. The Attorney-Client privilege will not protect your message, as you do not have an Attorney-Client relationship with this office solely as a result of your initial inquiry. The proper way to establish an Attorney-Client relationship with this office is to sign a written Retainer Agreement, which we will provide to you. The Retainer Agreement describes the matter upon which you initially engage this office. You will be charged for professional services and advice pursuant to the Retainer Agreement. Bloch & Chapleau, LLC does not disclose any nonpublic personal information about our clients or former clients to anyone, except as required by law. 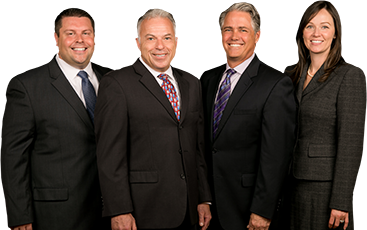 Bloch & Chapleau, LLC restricts access to nonpublic personal information about you to those attorneys or employees of Bloch & Chapleau, LLC who need to know that information in order to provide services to you. We maintain physical, electronic, and procedural safeguards that comply with federal regulations to guard your nonpublic personal information. Bloch & Chapleau, LLC discloses nonpublic personal information to other nonaffiliated third parties only as required by law.